7.1 miles - a flat and fast tour of local neighborhoods followed by an amazing post-race party INDOORS at the spacious Brewery facility. ***There is a 1 hour 45 minute time limit to complete the race. 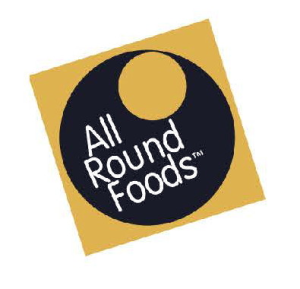 *All the food you can eat! **Post Race Party Photos from 2018 click here! Packet pick up will be at the Brewery from 12:00 pm- 6:00 pm. on Saturday, February 9, 2019. The Great South Bay Brewery is located at 25 Drexel Drive, Bay Shore, NY. One Free beer per registrant courtesy of the Great South Bay Brewery at Saturday pickup! 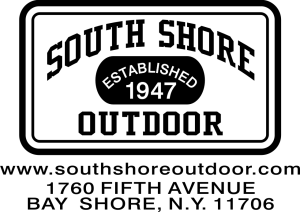 Day of Race 7:15 am - 9:00 am at The Great South Bay Brewery, 25 Drexel Drive, Bay Shore, NY. YOU MAY HAVE RECEIVED THIS EMAIL ALREADY, BUT PLEASE READ THROUGH AS THERE ARE A FEW MORE ITEMS INCLUDED. There is a cut off time of 1 hour and 45 minutes, which we will have to strictly enforce in order to comply with our permits. Runners will be allowed to finish, but will be asked to go to the side of the road, and are not guaranteed course support and will not receive a finishing time or a finisher’s medal. We highly recommend that you pick up your race packet before the race on Saturday, February 9th from noon to 6:00pm at the Great South Bay Brewery, 25 Drexel Drive, Bay Shore. 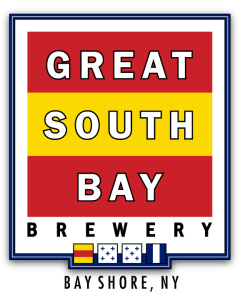 The Great South Bay Brewery will provide one free beer at Saturday packet pickup! You will be given a ticket for a free beer which is only valid on Saturday, at pre-race day pickup. If you are picking up for more than one person, you will only be given ONE ticket for ONE beer. Day of race pick up is available Sunday at the Brewery 7:15 – 9:00 AM. No pickups after this time. ***You will be given the shirt size you requested when you registered for the race. 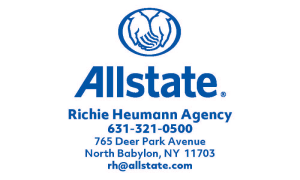 Visit our sponsor, Allstate, at packet pickup on Saturday! Please see the flyer attached for more information. There will be volunteers to help direct you to parking on Drexel Drive. Please DO NOT park in the Chase Bank lot on the corner of 5th Avenue. There will be limited parking in the parking lots on Drexel Drive so plan to arrive early or look for parking in the neighborhoods off of 5th Avenue. If you plan on leaving early, please look for alternate parking in the neighborhoods as traffic on Drexel Drive will be limited with runners on the course until 11:00am. The Great South Bay Brewery has an arrangement with LYFT for a discount to get a ride from the Brewery after the party, contact them and use code: GSBbrew. A Course map is attached for reference. (There are 2 water stops, one bead stop and one porta pottie location which are listed on the map). There is no baggage check at the Brewery. If you leave your bag, we are not responsible for your belongings. Great door prizes, including a Fire Island bike courtesy of Shred Lab Solutions! See photo of bike below. Door prize winners will be posted after the race. Awards for Best Mardi Gras costumes! We are presenting awards on stage only to the first three Male and Female Open, and Male and Female Masters OA. All other award winners are invited to pick up their age group awards on a table near the band. Results will be available on screens in the Brewery and will also be posted online at www.glirc.org and www.justfinish.net. Text results are available! If you are not sure if you signed up for text results, click here. 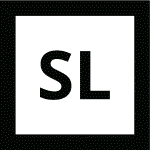 Click on Find a Participant and type in your First and Last Name. Click in to Results Notification and add your cell phone number. You will receive a text message asking you to confirm that you are opting in to receive results via your cell phone number. When you have completed your run, you will receive a text with your results. FYI ‑ You can find your bib number before you go to packet pickup by clicking here and clicking on Find a Participant. Type in your First and Last Name and your bib number will be displayed. If you know your bib number it will help at packet pickup! DO NOT go near the finish line with bibs that are not being used by a runner. If you are holding a bib, please take off the timing chip and discard. The chips interfere with our timer timing the race. JUST A REMINDER: YOU WILL NEED YOUR BIB TO ENTER THE POST RACE PARTY! NO EXCEPTIONS! Guests are permitted to the after party for $30 per person pre race price, and $35 race day price, over 21 years old only. (limit of 2 per registrant). You can purchase a Guest Pass online as an Add-on to your registration through February 7, 2019 at 5:00 pm. Saturday at packet pick up and Sunday at registration, you can pay cash or check at the Brewery for a guest pass. VIP Room: There are limited spots left to be purchased for the VIP Room. If you are on the fence about this purchase, it will close out soon. The cost is $20 pre race, $25 day of, (limit of 3 per registrant) and you are provided with a private room with bathrooms, and no beer lines! Plus areas to park your food and drink! Special edition hoodies for the Mardi Gras Run to the Great South Bay Brewery are available! Limited quantities will be available for sale at packet pickup and at race. We also have a limited quantity of Mardi Gras race themed fleece headbands available for $10! You will also be able to order these items for delivery after the race. WE ARE A VICTIM OF OUR OWN SUCCESS! Unfortunately, we had to order the medals and shirts ahead of time and as race registration picked up exponentially in the last two weeks, we are not are able to ensure that we will have shirts and finisher medals for all participants. As with all GLIRC races, if we do run out we will take down your bib number and we will order the shirts and medals on Monday. They will be will be mailed out to everyone who didn't get one race day. 2. No one under the age of 21 allowed to the after party. Strictly enforced! VOLUNTEERS ARE STILL NEEDED! VOLUNTEERS GET FREE ENTRY TO THE POST RACE PARTY AND A FLEECE HEADBAND GIVEAWAY! CLICK HERE TO VOLUNTEER.